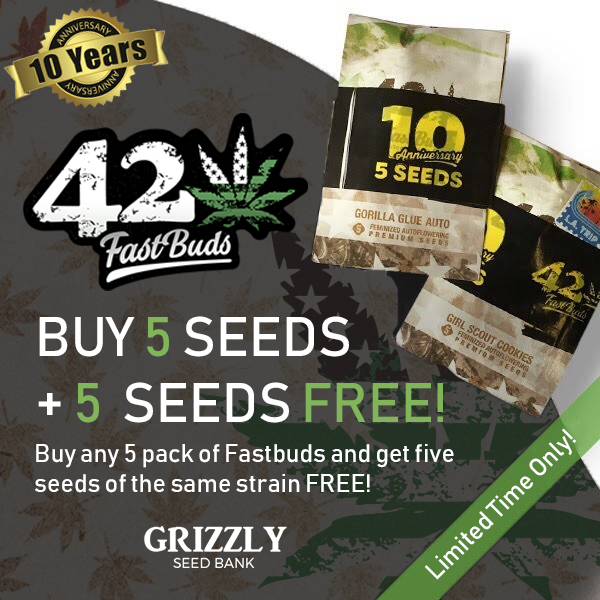 Buy any 5 pack of Fastbuds and get 5 seeds of the same strain FREE! Subject to availability. While stocks last. 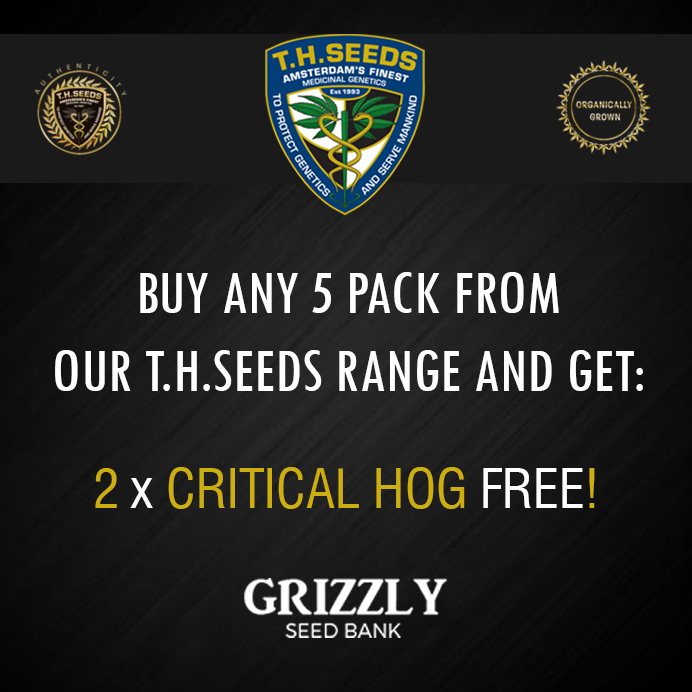 Buy any 5 pack from our T.H.Seeds range and get 2 Critical Hog Feminized Seeds for FREE! Subject to availability. While stocks last. Spend over £25 and get a FREE pack of original RAW rolling papers! 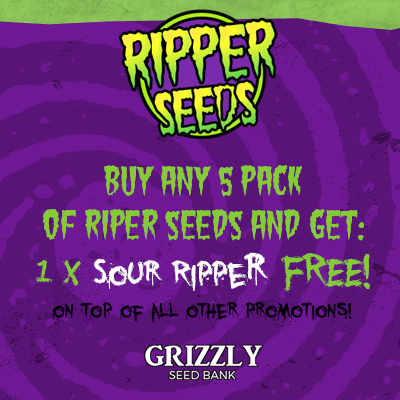 Buy any 5 pack of Ripper Seeds and get 1 Sour Ripper Feminized Seed For FREE! 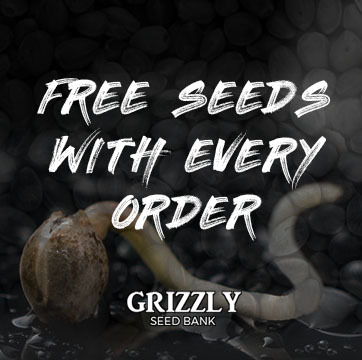 We give away FREE seeds with every single order, on top of any other promotions! 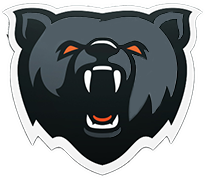 More information on our free seeds can be found here.